Michael J. Eisenbeiss, Ph.D. is a Licensed Psychologist, Licensed Professional Counselor and Licensed Marriage and Family Therapist. 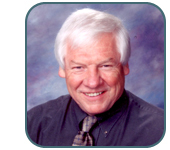 He is certified by the Idaho Department of Education as a Certified School Psychologist. He has over 38 years experience as a psychologist diagnosing and treating a variety of learning disabilities, developmental disorders and mental health challenges. For the last few years he has restricted his practice to psychological and neuropsychological testing. Dr. Eisenbeiss has consulted with local school districts and has taught courses in Parent and Teacher Effectiveness Training. He is a Clinical member of the American Psychological Association and Clinical Neuropsychological Association. Dr. Eisenbeiss is a Medicare Provider. Email Michael Eisenbeiss. Laura Root, LCSW is a Licensed Clinical Social Worker who specializes in treating depression, anxiety, grief/loss, and adjustment issues. Additionally, she provides play therapy to children with a variety of disorders. She utilizes a range of client-centered interventions including cognitive-behavioral therapy. 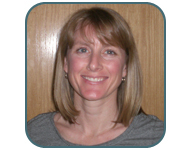 Laura has been a clinical social worker since 1999. In her free time she enjoys running, hiking with her dog, and collecting her chickens' eggs. Laura Root is a Medicare Provider. Jane Krumm, ACSW, LCSW, CPM is a licensed clinical social worker with over 25 years of experience working with individuals and families. She enjoys working with children, adolescents, adults, couples and families treating ADHD, anxiety, depression, stress disorders, grief and loss, marriage therapy and in the areas of brief therapies and behavior change. Jane uses a client centered, cognitive behavioral approach with an interpersonal and empowerment based emphasis and uses play therapy when indicated. Jane has taught parenting skills for many years often for parents who have children that have learning disabilities, ADHD, and/or behavior management issues. She also works with people to manage and resolve conflict. 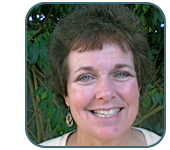 Diane Hakes, LCSW, CDWF, is a licensed clinical social worker who has provided counseling to individuals, couples and families for over 25 years. Diane is also a certified Daring Way™ Facilitator with advanced training based on the research and teaching of Brené Brown, Ph.D, LMSW. Diane specializes in helping adolescents, adults, and couples repair relationships, build worthiness, heal trauma and promote emotional wellbeing by creating wholehearted living. 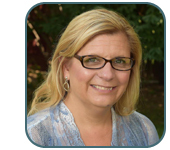 She has extensive experience working with grief, loss and chronic illness. Diane Hakes is a Medicare provider.